If you have ever stayed with us at Govinda Valley, you know that we take food seriously! Our kitchen prepares food that supports optimum health and vitality according to the principles of ayurveda, the yogi's ancient science of health. Traditional yoga teaches us that the quality of a person's diet directly affects not only their physical body, but also their mind. In a more modern understanding: we are what we eat! That's why all all the food prepared in the Govinda Valley kitchen is totally free of meat, fish, eggs, garlic and onion. 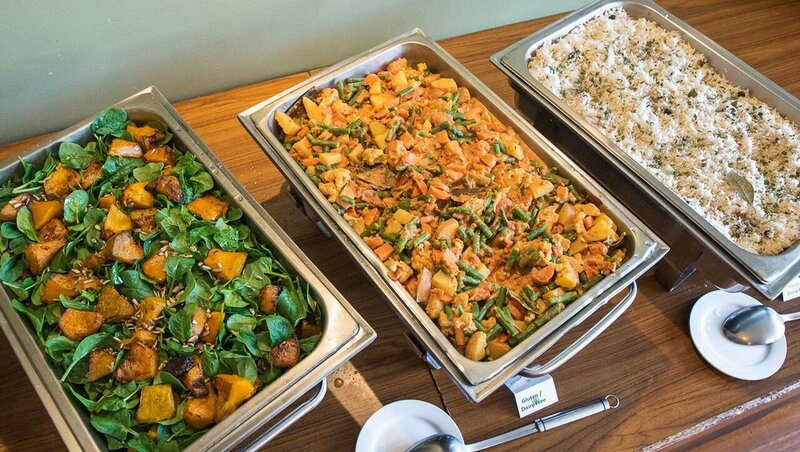 Naturally, we also cater for special dietary needs such as gluten-free, dairy-free, sugar-free, etc. If this all sounds a little dry to you, don’t you worry! The food served at Govinda Valley is extremely tasty. In fact, this is also an Ayurvedic principle. Healthy food should be tasty, otherwise it will not be digested properly. Our chefs take inspiration from different sources: cooks that inspire them, books they have been given, online recipes, or brand new recipes that are born within their head – and also their heart!